Clint Eastwood was well known for his love of cars and motorcycles in the 1960s and ’70s, he especially loved the British marques Jaguar, Austin Healey and motorcycle marques Norton, Triumph. 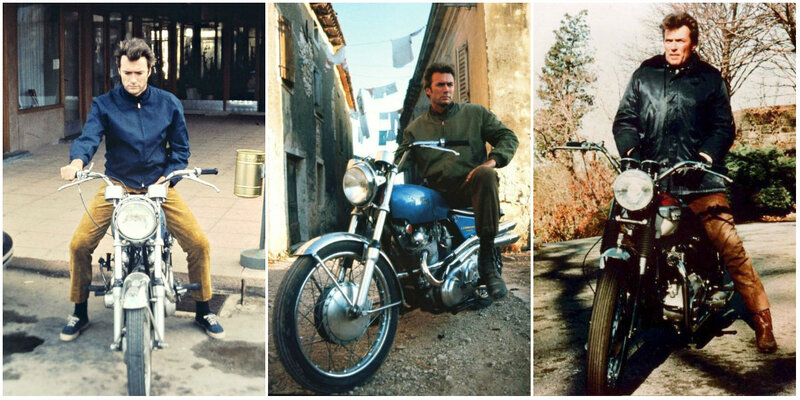 Arguably more of a Norton man, having fallen for a Norton Ranger he bought for sightseeing in London while filming Where Eagles Dare in 1968 not to mention a Commando S (the scrambler version) he used during the filming of Kelly’s Heroes in Yugoslavia in 1969. He also later kept an S at his Carmel, California home in 1978. In the movies, however, he was mostly seen on Triumphs, most notably a 650 TR6 during a famous bike chase scene through Central Park, New York, for Coogan’s Bluff.